As digital working has become the main component of a business, entering in online business you must need a website that fulfills the requirement of your business. A website must look attractive to easily engage your potential customers. Kitsoul brings web development services in Lahore with the latest innovation. We create a way of success for the entrepreneur who is new in this field and not knows how to run your business in less time. Kitsoul also providing the SEO services in Lahore. As a top SEO company in Lahore, we apply every technique to make sure your website remains on the top of the search engine. SEO is the mandatory way for a website. Because SEO allows, along with the high ranking of the site also produce heavy traffic on your site. Through the help of SEO, we will surely attracts our potential customers. 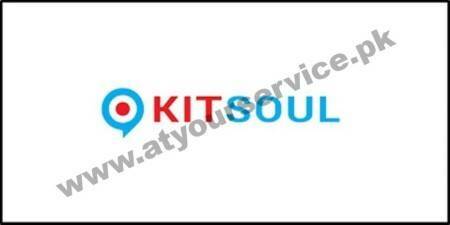 Kitsoul is a platform where you get fully online related services. We are a top web designing company in Lahore, also delivering the services of web designing. There are many social media marketing companies in Lahore urging there, but we are leading who provide the best results of marketing in a limited time.